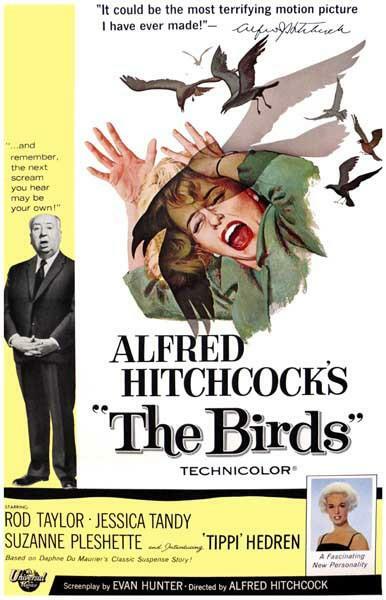 A wealthy San Francisco socialite visit a small Northern California town slowly takes a turn for the bizarre when birds of all kinds suddenly begin to attack people. According to Hitchcock - "It could be one of the most terrorizing motion pictures I ever made"
​​​The Woodstock Music Festival began on August 15, 1969, as half a million people waited on a dairy farm in Bethel, New York, for the three-day music festival to start. Billed as “An Aquarian Experience: 3 Days of Peace and Music,” the epic event would later be known simply as Woodstock and become synonymous with the counterculture movement of the 1960s. The festival is widely regarded as a pivotal moment in popular music history and was captured in this Academy Award-winning 1970 documentary movie ” Woodstock: 3 Days of Peace & Music.